Let's go on a digital journey! Come with us to London for an interesting and fun weekend. 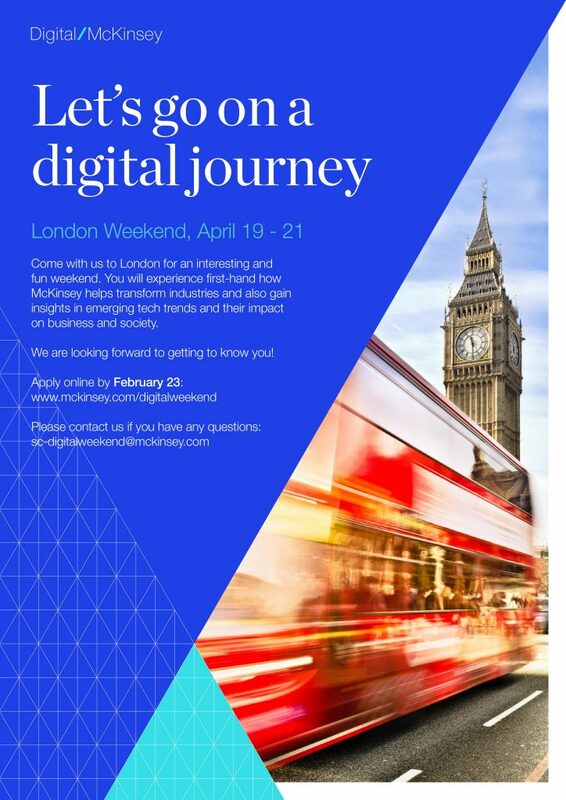 You will experience first-hand how McKinsey helps transform industries and also gain insights in emerging tech trends and their impact on business and society.